On Wednesday last week, my friend Tilley and I made our second attempt at seeking out some Mac ‘n’ Cheese, as we,d got so excited on a previous Tuesday that we didn’t realise that it’s only served at Sabotage Social Wednesday through to Sunday. 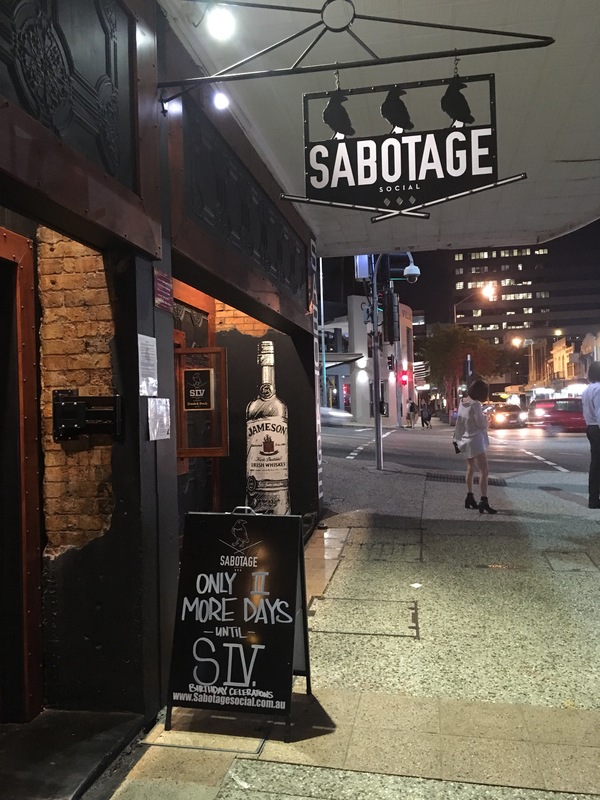 So we had high hopes for tonight!Sabotage Social is the kind of place that suits a pop-up eatery, it has a grungy, edgy interior with space out the back to sit and a kitchen bar hatch where all the magic happens courtesy of Mac From Way Back. The time had come for me to be transported into Mac ‘n’ Cheese heaven. We were dead set on a Mac ‘n’ Cheese bowl, there are currently four to choose from: Original, Get Cheezy, Bacon Bowl, or Chicken Parmigiano. 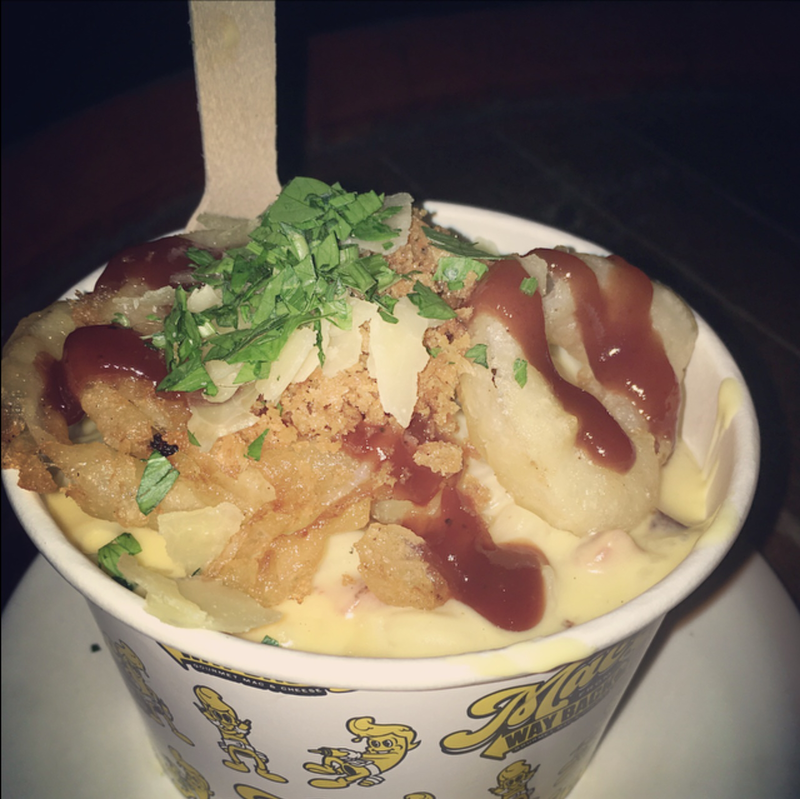 I just had to have the bacon bowl, a tasty Mac ‘n’ Cheese mix of bacon, fried onion rings, BBQ ranch and panko crunch. Tilley is vegetarian and she chose the Get Cheezy – Mac ‘n’ Cheese topped with fried halloumi mixed with sun dried tomato, basil cream and panko crunch. It looked equally as good as mine! We sat outside across from a group of guys who looked like they’d come for a post work scran and they ordered all sorts – an assortment of Mac ‘n’ Cheese bowls, burgers topped with Mac ‘n’ Cheese (which I’ll be trying next time) and fries with a hefty dollop of Mac ‘n’ Cheese. The kitchen was also sending out Uber Eats orders and was kept going all-night. Sabotage Social was also playing host to Wednesday night karaoke. I’m a fan of karaoke and I even got up to do a turn but I know it’s not everbodies cup of tea. Mac From Way Back started as a food truck and they continue to operate this way but I think it’s only natural that they will grow in success and we’ll probably see a stand alone Mac From Way Back restaurant in the not so distant future. 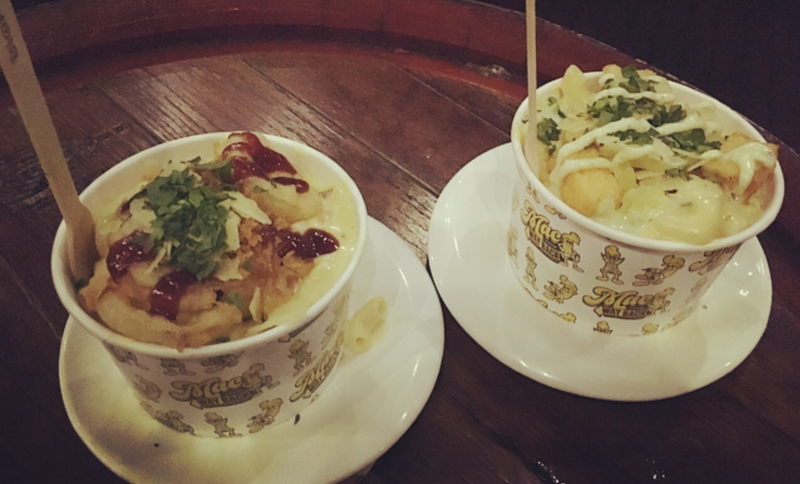 Mac ‘n’ Cheese fans should definitely ensure they sample a bowl pronto! 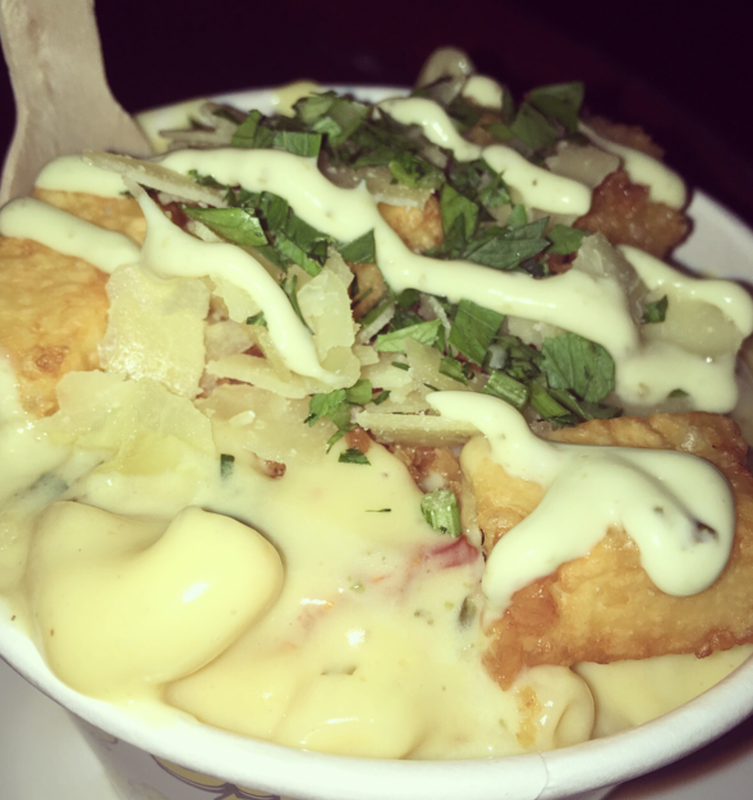 This entry was posted in Alcohol, Brisbane, Burgers, Dinner, Foodie, Mac 'n' Cheese, Quirky, Uncategorized and tagged Mac 'n' Cheese. Bookmark the permalink.